The Dabbieri Collection of Fine Floor Coverings is pleased to present its newest line of gorgeously designed, hand-knotted Tibetan area rugs. In celebration, we’re offering you the chance to win the Dabbieri rug STARS, featured above! To win, simply enter your email address in the box below to receive Dabbieri news and you'll be automatically registered to win! you'll be automatically registered to win this rug! Dabbieri, in partnership with Premier Professional Program, is sponsoring "Million Dollar Marketing on a Shoestring Budget," a teleseminar on how to use low cost or no cost marketing strategies to promote your business. To register, call 1-800-205-4345 or email shonnoll@dabbiericollection.com. This teleseminar will be lead by Fred Berns, one of the biggest names in the interior design industry. Berns is the only sales and marketing coach, author and professional speaker who trains design trade professionals worldwide on how to use self-promotion to maximize sales and marketing for a minimal investment of time and money. Think of “big splash, little cash” marketing alternatives. Think, for example, of free publicity – the best advertising that design professionals can’t buy. Write and distribute articles and news releases about your design services. Magazine and newsletter editors, newspaper home and garden editors, local TV news producers, and others are eager for the information you can provide. Offer yourself as an interview source. That will help you get quoted and promoted in the media. Present seminars, workshops, and adult education courses for prospective clients. Stay in touch with those you seek to influence by distributing an ezine or blog. Add marketing messages to your e-mail and voicemail, and include a promotional note on invoices, and everything else that you distribute. Don't forget to register and join us for "Million Dollar Marketing on a Shoestring Budget" on Wednesday, November 28th from 12 - 1 PM EST. To register, call 1-800-205-4345 or email me at shonnoll@dabbiericollection.com. 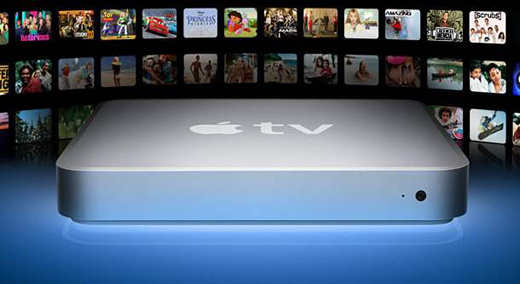 Our good friend Gradon, of DesignBoston, has teamed up with Tech Superpowers to give one lucky reader a free AppleTV! Good luck everyone! PS: I know I promised to have more information about our own upcoming contest where one lucky winner will get to walk away with the Dabbieri hand-knotted rug of his or her choice, but you'll just have to wait one more week while we finalize the official contest rules. Don't forget to tell all your friends!